February 11 & 12, 2006. 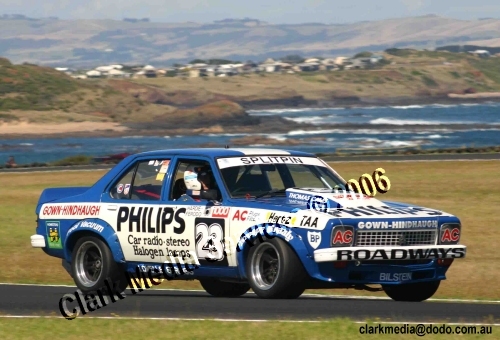 Here I was, sitting on the dummy grid in an A9X Torana race car at Philip Island GP Circuit. 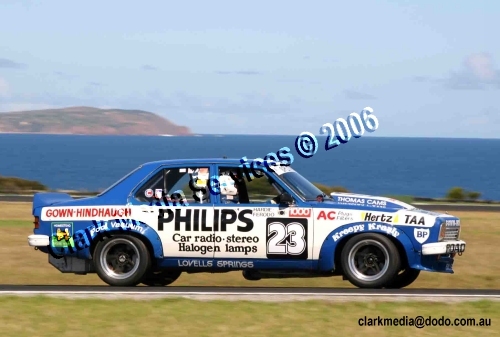 The mind tries to go back 28 years to remember what it would be like to drive this car full noise. I remember great horsepower, goes through corners like it's on rails, stops on a dime. This will be great! Three laps later, what happened? This is bloody hard work! Ok, great power, but this thing is wriggling and squirming under power through corners and if I don't have it straight when the brakes are applied, it wants to swap ends. I then realise that all those years ago this was state of the art, and it felt fantastic everywhere. How things change. We change a couple of things (rear springs and tyre size ) between races and go out again. Aah, this is better. Now I feel I can control the car instead of it controlling me. Lap times down to a respectable level and I've got a grin from ear to ear. But boy, does the old A9X move around a lot. The satisfying part is being able to work the car near its limits after all those years. 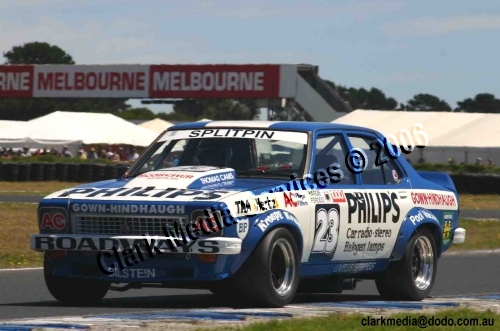 Again, you feel in awe of the blokes who spannered on these cars to make them as quick as they are unforgettable.